Providing a supportive, caring environment for anyone seeking counselling help is a major consideration for any counsellor. Whether offering counselling skills in a private practice setting, or within a volunteer organisation being aware of the client’s individual needs, at all times, is an important priority. Understanding the specific needs and requirements of a client with specialist problems presents an opportunity to increase a counsellor’s skills and experiences. With binge-drinking still on the increase alcohol abuse is becoming a regular feature in the counselling environment. A counsellor may have to deal with a client who shows early stages of problematic drinking, or an alcoholic with additional addictions. Alcohol awareness is a big part of the counsellor’s supportive relationship with a client who has a drink problem, and can be an issue across a variety of different age groups and backgrounds. A counsellor, working with alcohol dependent clients, must demonstrate an understanding of the issues these individuals face on a day-to-day basis. Some counsellors provide support in a residential unit where alcoholics are submitted on a detoxification programme, which will also include regular counselling sessions. A counsellor however, may also find themselves supporting family members through crisis. Drug dependency, rather like alcohol abuse, affects others besides the dependent person. Family members may require some form of counselling support, at some time, and a counsellor must be drug aware and able to provide resource options. 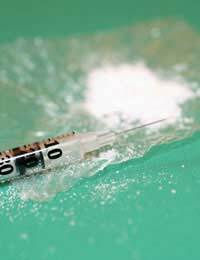 Assisting a drug addict requires a greater knowledge of drugs, an awareness of the client’s psycho-stimulant drug use, and also expanded counselling skills. Some counsellors provide support on a 12 Step programme, where clients undergo drug withdrawal, whilst others work one-to-one with clients. This form of counselling can be relatively short-term - for instance 6 sessions – or a much lengthier period of intervention. Acquired Immune Deficiency Syndrome (AIDS) is a fatal viral disease. Coming to terms with this prognosis can prove very difficult for many people. Overcoming the emotional stress, unique psychological issues and social isolation are just some of the difficulties a sufferer will present at counselling sessions. In order to provide the level of support an AIDS patient requires a counsellor will have to be armed with as much understanding, and knowledge of the disease as possible. Counsellors can provide an important role in meeting the needs of clients, but they must be aware of their own attitude to the disease. They must also have up-to-the-minute information about AIDS on file, and be able to offer referral sources and social support options. Counsellors must also be able to direct the client’s anger and frustration towards other less destructive channels. Most importantly of all, however, a counsellor must be sensitive to the client’s needs. Working with clients, who have addictive behaviour patterns or a number of dependency issues, can be exhausting work for any qualified counsellor, no matter how experienced. Working in a person-centred manner creates a supportive relationship that can reward clients in many ways. Counsellors wishing to explore this form of counselling skills support must therefore ensure their skills are kept up-to-date and all experiences are constantly related back into their counselling work. I am sorry to hear this.Alcoholism is an illness and like any illness, it needs to be treated. Without professional help, a person with alcoholism will probably continue to drink and may even become worse over time. However, your mother must also want to seek help. Have you tried to talk to her and tell her how her actions are upsetting you? Try to convince her to see her GP. You don't say how old you are, but if you are of school age, you may want to confide in a teacher who may be able to help. @IMOKUROK - you seem to definitely be on the right track. I'm sure an opportunity will open up for you soon if you keep doing what you are doing and adding to your CV in this way. Ali. Hi i am very interested in working with adolescents through counselling i am at the moment working towards a diploma in counselling.I am on level 3 and when i pass have a desire to do the diploma course. I currently volunteer for Home start and have been volunteering for ADS.I actively help the youth in my area by offering support in the form of person centred counselling freely and i help those without a place to stay and those having difficulty in their fostering enviroments. I do all this freely in my time as well as workin retail to pay for my courses. My goal is to set up walk in centres for the youth with problems as the waiting lists for counselling is extensive.Any help or advice is greatly appreciated! The language on this page could do with updating - it feels very disempowering and judgemental; not very suitable for counsellors! It's interesting to note that Child Abuse victims are obvious candidates to become addicted to drugs and alcohol, in my experience as a counsellor these survivors have the challenging task not only overcoming their abuse, also their distructive behaviours which they believe may cover their mental scars.I would personally like to see more financial assistance in Charitable Organisations like the one I Work for 'Family Matters' Kent, to get more allocated sessions when clients disclose their dependency on such addictive products and offer rehabilitation and on going session with counsellors they have developed a meaningful relationship with and trust.